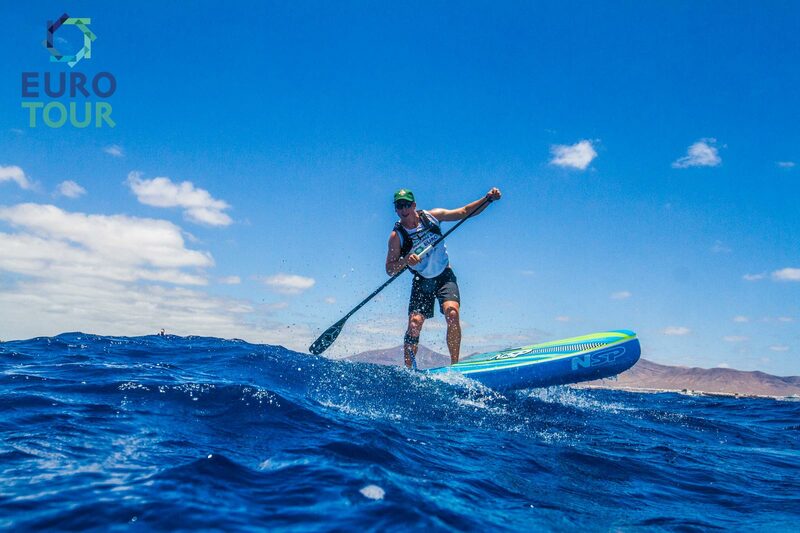 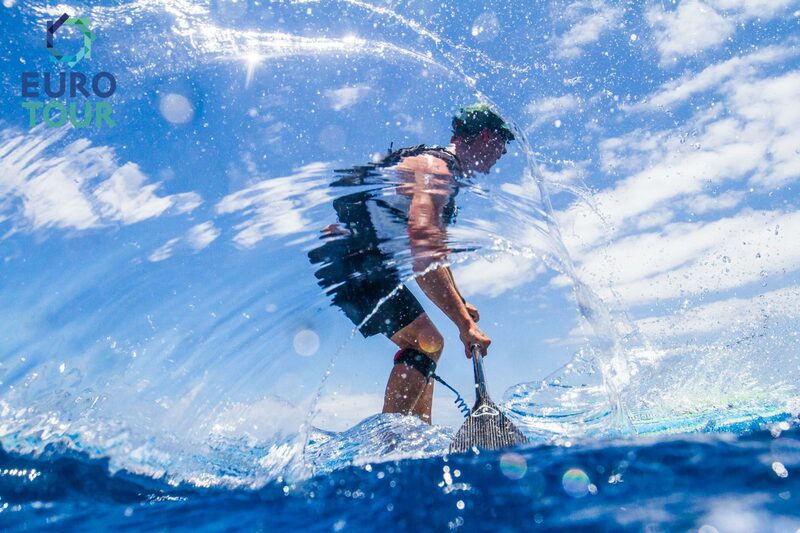 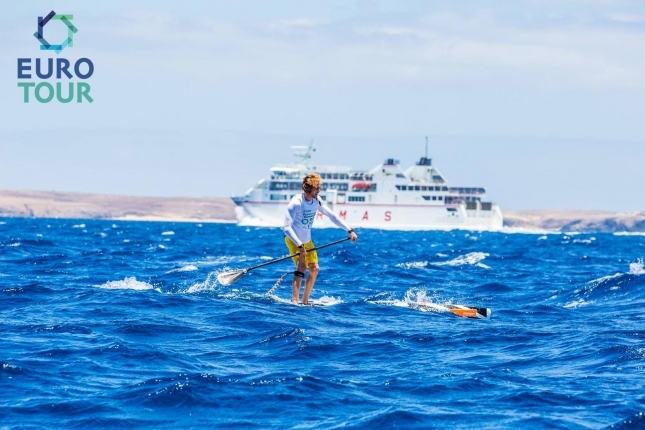 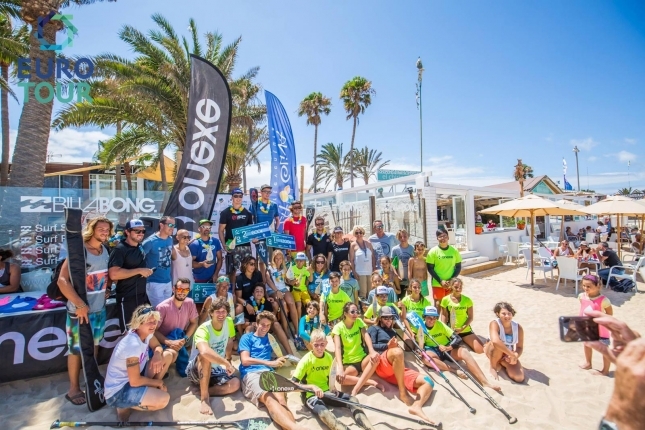 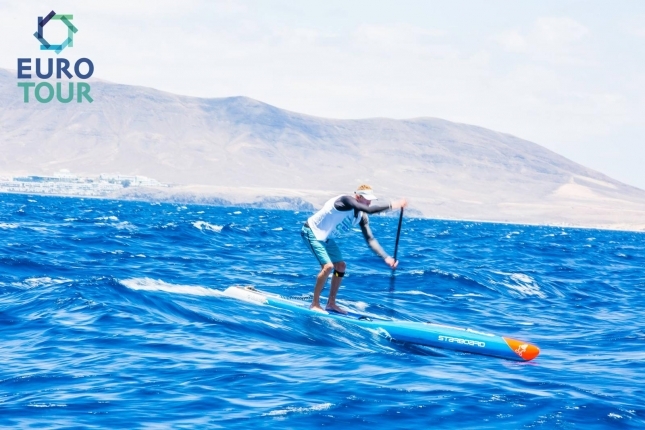 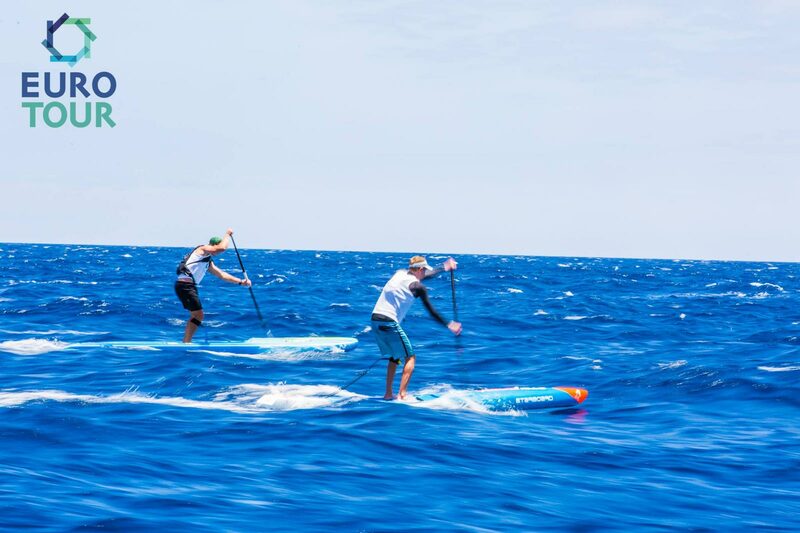 In brief: World number one and freshly-minted “unicorn” Connor Baxter has taken out week 9 of the EuroTour, claiming what looked to be one of the funnest races of the summer: an open ocean downwind crossing between Lanzarote and Fuerteventura in the Canary Islands. 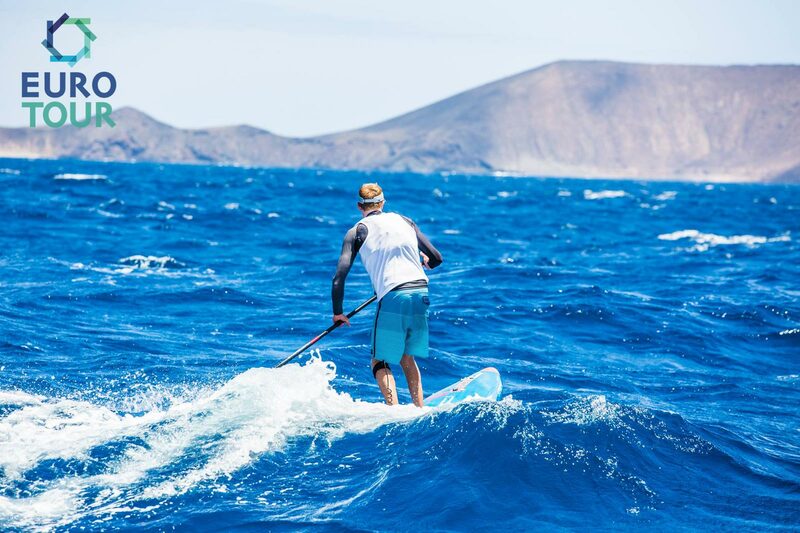 The Hawaiian would have felt right at home in the bumps; you could be forgiven for assuming some of those photos down below were taken off the coast of Maui or Molokai. 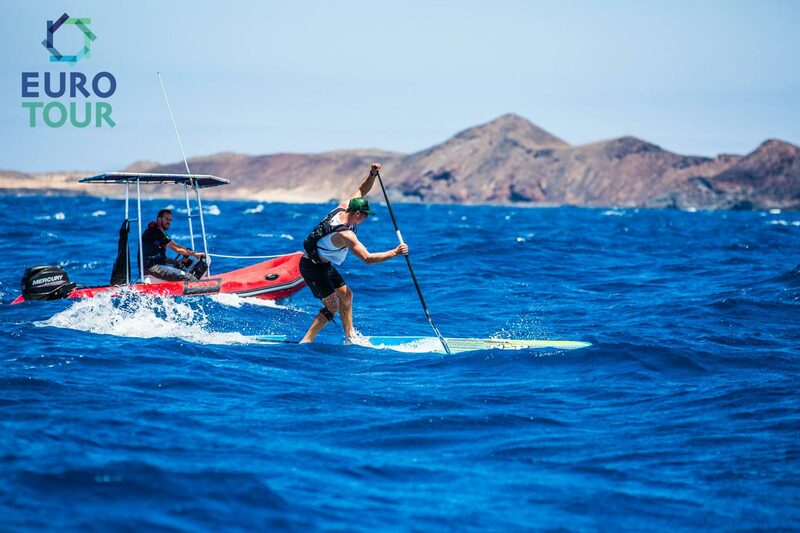 New Zealand’s Marcus Hansen (NSP/QB) was a very impressive runner-up, with the Kiwi relishing the downwind conditions as Canaries’ signature trade winds whipped up endless downwind runs. 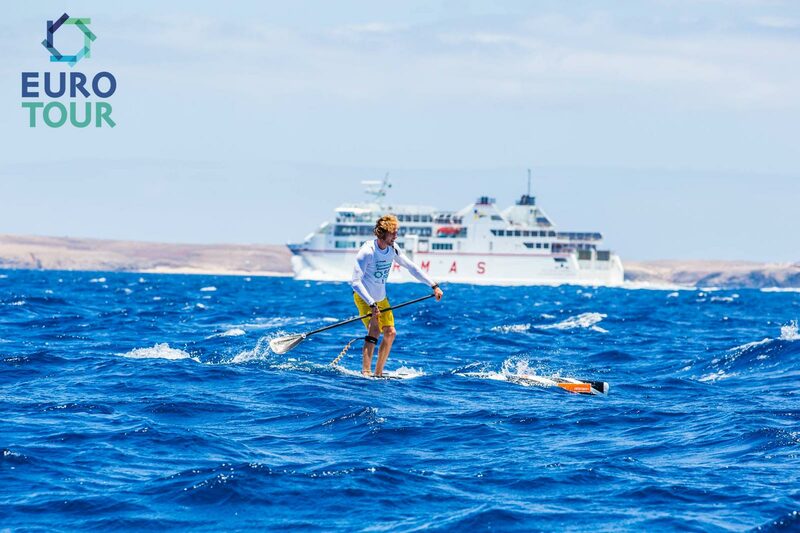 Marcus, who comes from an ocean sailing background, was keeping pace with the Starboard superstar in the opening stages of the 15km crossing and hit the line less than a minute behind. 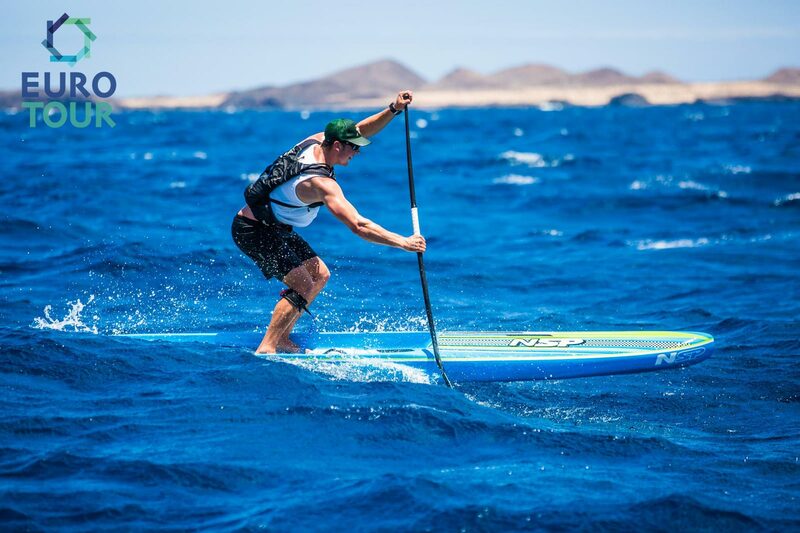 Paolo Marconi (RRD/QB) was third for Team Italia, while Jeremy Teulade (OXBOW) and Peter Bartl (JP) rounded out the top five. Spanish star Susak Molinero (RRD/QB) took out the women’s race to claim her first win of the Tour after a string of podium finishes, completing the crossing in a time of 1 hour, 36 minutes that would have almost seen her go top 10 on the men’s results sheet. 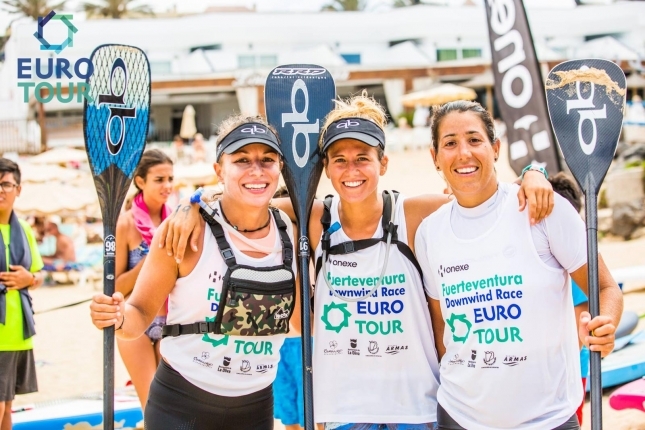 Susak’s compatriot Laura Quetglas (Starboard) was just a minute behind in second, while local German expat Susanne Lier (NSP) came home third. 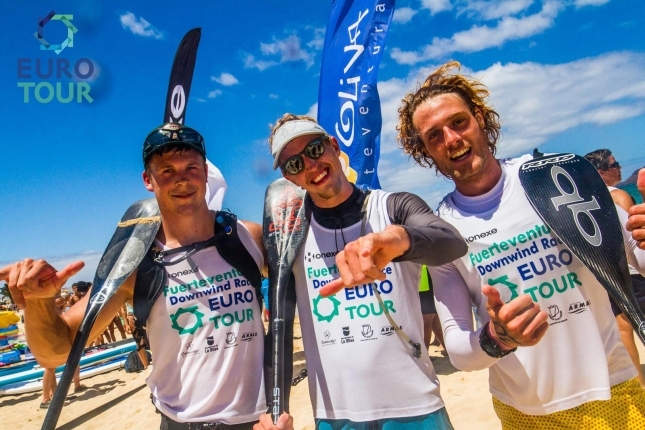 Although the field was smaller than at most of the other EuroTour stops, owing largely to the Canaries’ remoteness (the islands are much closer to Africa than Europe), it was great to see a relatively strong turnout of youth. Spanish youngsters Kiko Borras and Quique Serra both finished well inside the top 10 of the elite field, while the kids’ race almost outsized that of the the adults. 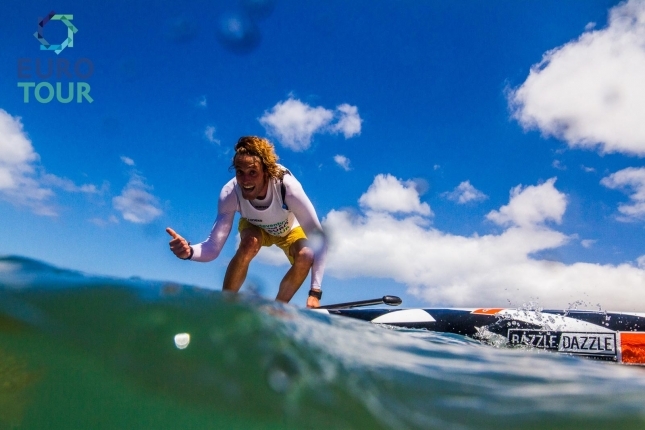 Check out the great little highlights reel below. 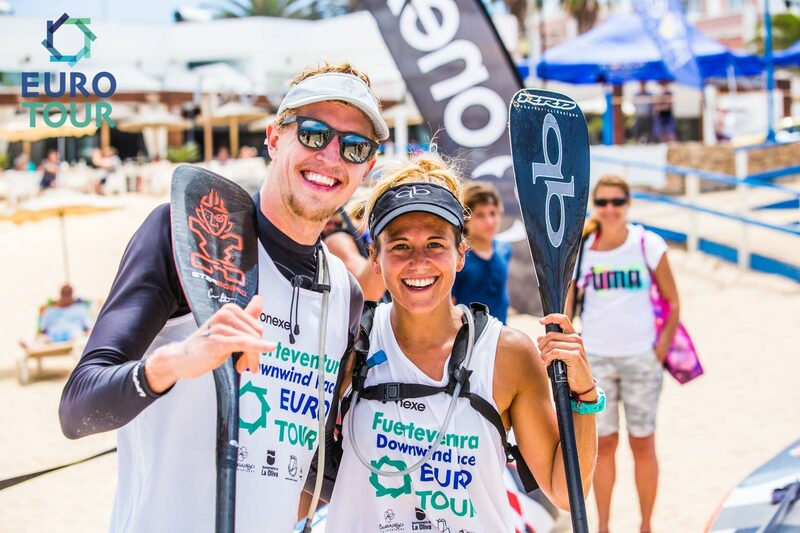 This clip is again courtesy of the Tour’s media queen Georgia Schofield, who has worked tirelessly to bring the images and video from this year’s European Summer of SUP to the world. There are also hundreds of great shots over on the EuroTour Facebook page. While the EuroTour ‘Prime’ events are all wrapped up, and the top spots on the Leaderboard are set in stone, the 2017 Tour continues for another couple of weeks: next stop is the beautiful ‘Sieravuori SUP Masters’ in the lakes of Finland, before the 11-week series wraps up over in the UK on July 22nd.